This is an excerpt of the original article. The idiom "pot calling the kettle black" was perfectly illustrated by Islamic Iran's outrage over the public executions of 47 people by Islamic Saudi Arabia on Jan. 2. As horrific and detestable as the Saudi actions that included the beheading of human rights and democracy activist Nimr el-Nimr were, it was laughable to watch Iran's hypocritical self-righteousness in response. Since 1979, Iran has executed tens of thousands of political dissidents, most infamously its state-sponsored execution of at least 5,000 political prisoners across Iran in the summer of 1988. 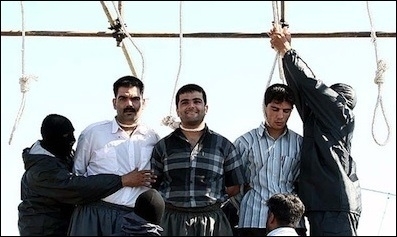 Decades later the Iranian Islamic regime still makes a public spectacle of hanging political prisoners in city squares, using cranes to magnify the image of men writhing as they die a slow death by strangulation. Iran is the only Mideast country that carries out more executions than Saudi Arabia annually and globally is second only to China — a fact lost on Iran's Supreme Leader Ayatollah Ali Khamenei, who in a fit of contrived self-righteousness warned, "divine vengeance will befall Saudi politicians" for carrying out the executions. Iran carries out far more executions per year than Saudi Arabia. According to Amnesty International, at least 151 people were executed in Saudi Arabia during 2015. While Amnesty does not cite figures for Iranian executions in 2015, it quotes "reliable sources" putting the number at 743 executions, at least, in 2014. That said, there's no question Saudi Arabia's disgraceful actions have added a new and unnecessary complexity into a region extending from North Africa to the Indian subcontinent. As a result, 2015 may well have been the calm before the storm. If building world consensus to confront the threat posed by the Islamic State (ISIS) and al-Qaida was a jigsaw puzzle, the Saudi action just transformed into Rubik's Cube. So who was Nimr el-Nimr whose ghost now looms large over the war zones of the Middle East and Islam's fight with itself? He was a 57-year old Shia Arab from Saudi Arabia's oil-rich Eastern Province (once known as Al-Ahsa until it was invaded and occupied by the Saudi family just after the First World War). He was well known for his harsh criticism of Saudi Arabia's ruling family. In 2009, he threatened to lead a secessionist movement to end the Saudi occupation of the oil-rich Al-Ahsa province that was once historically part of today's Bahrain. 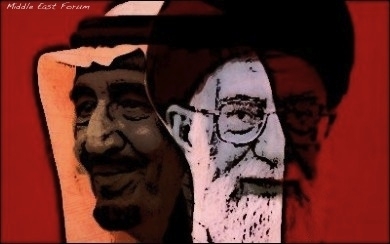 Although he was Shia, he had made it known in no uncertain terms he had no links with the Iranian regime. 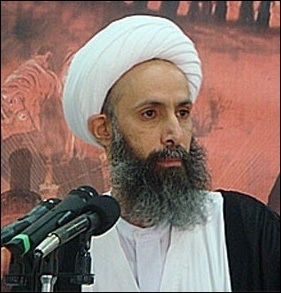 WikiLeaks reported that in a meeting with U.S. diplomats in 2008, el-Nimr sought to distance himself from Tehran. He told the Americans Iran, like other countries, acts out of self-interest, and Saudi Shiites shouldn't expect Iranian support based on sectarian unity. If only the Americans had the wisdom to discern Saudi manipulation using petrodollars and the facts that would serve the interests of peace and progress.